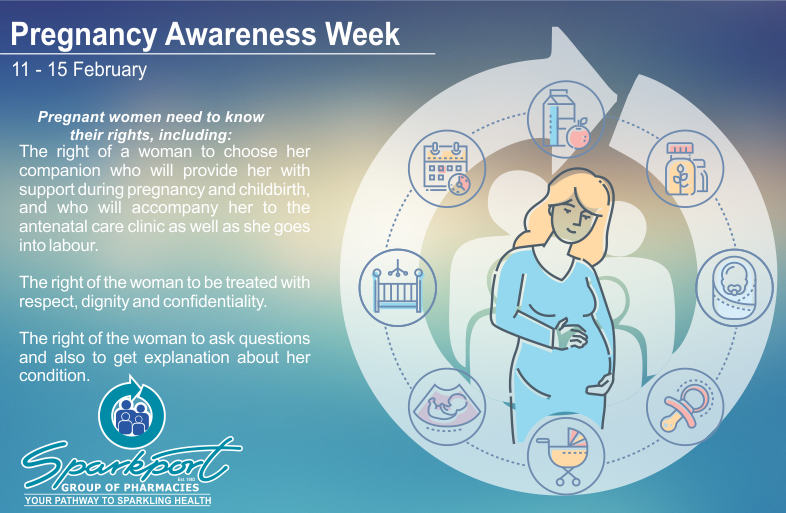 The Department of Health uses this time to strengthen pregnancy education and stress important issues that promote a healthy pregnancy and safe motherhood. Do not eat uncooked or under cooked meats. Avoid soft cheeses like feta and goat cheese. You should also try to limit your caffeine intake. Stay Hydrated :Drink plenty of water, 8 glasses a day. Exercise : Staying active is important for your health. It improves circulations, boost your mood and help you sleep better. You can join pregnancy exercise classes or walk for 15 – 20 minutes every day at a moderate pace.